From what we gathered from their global press event, Acer is dominating the market with their premium releases this summer. From the ultimate gaming laptop Predator Helios 500 to the most powerful Chromebook to become available on the market, they are definitely at the top of their game. Eric Ackerson, Acer’s Senior Product Manager, introduced the new Acer Chromebook Spin 13 as the world’s most powerful Chromebook. With it being the first ever Chromebook on the market to have the 8th generation Kaby Lake U-series processor, we are inclined to agree. Set apart from others in its league, the Chromebook Spin 13 is packed with 8th generation Core i5 or i3—depending on the buyer’s preference. It comes equipped with a RAM of 16 GB and 128 GB of storage. This makes the Chromebook Spin 13 ideal for professionals or individuals with heavy workloads. It has a 13.5-inch, 2256×1504-pixel touchscreen with a uniquely square 3:2 aspect ratio. Its full HD screen is suitable for high productivity and web browsing. Its touchpad is made of Gorilla glass, making it smooth and responsive. On its sides are two Type-C 3.1 ports, a Type-A USB port, and a slot for a microSD. Chromebooks have access to Google Play and also support Android apps, eliminating the usual restriction that comes with a device that runs on Chrome OS. The Chromebook Spin 13 looks well-built, fitted with a matte-finish aluminum chassis with diamond cut edges, as opposed to the regular Chromebook with plastic cladding. Its bezels are also incredibly thin, giving it a wider screen. It looks sleek and sturdy, unlike many of the other Chromebook devices available on the market. The Chromebook Spin 13’s hinges allow it to be converted from laptop to tablet and even inverted for presentations. It also comes with a Wacom EMR stylus that is stored in the chassis. 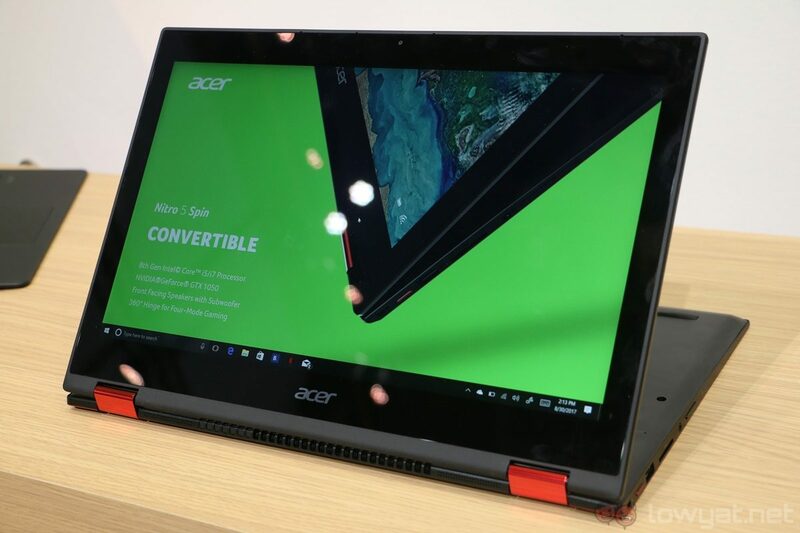 Acer claims that it can run for up to 10 hours of continuous use. It is designed to be a convertible Chromebook that is capable of heavy work, perfect for busy students and professionals. It can also transition seamlessly from work mode to movie marathon mode—all you have to do is flip the screen. So far, no price has yet been announced by Acer, but it is expected to be a tad steeper than that of the usual Chromebook device. Rumors have been circulating that it will start at $400 for the non-convertible version and $500 for the convertible version. If these predictions are accurate, the Acer Chromebook Spin 13 will be considerably more affordable than the Pixelbook, which costs $1,199. The release date also remains mysteriously unannounced, but we are hoping it will be very soon. With powerful specs underneath that premium design, the Acer Chromebook Spin 13 brings Chromebooks up the ladder of portable computing devices. Powerful, presentable, and portable—the trifecta of productivity that is perfect for professionals and students who are looking for an affordable and efficient device to work with. It hasn’t been that long since Samsung launched the Galaxy S9 series, but the Internet is already abuzz with rumors about the Samsung Galaxy S10. Although the S10 is expected to be released a year from now, leaks about its specs and design are already flooding in. Alas, the most recent rumor is quite disappointing for Samsung Note users. If you think that the Note 9 is going to be the first Samsung flagship to feature a fingerprint scanner, you’re mistaken. According to a report from The Chosun Economy in South Korea, this in-demand feature will make its long-awaited first appearance on the Samsung S10 and S10 Plus. It has been revealed that the code name for the Galaxy S10 is “Beyond.” There are several reasons why code names are important. A code name generally indicates what the company plans and hopes to achieve with its new product. The code name for the Galaxy S8 was “Dream,” which played into Samsung’s dream to surpass Apple. The Galaxy S9’s code name was “Star,” which highlighted the smartphone as the lustrous star of the Galaxy series. The S10’s code name “Beyond” is an indication that Samsung is devising a plan to redesign the form and function of its S series. It may also signify the company’s intent for the S10 to push through the declining sales of premium smartphones apparent this year. With regards to the actual name of the smartphone, the “Galaxy S10” isn’t a 100% certainty. There are rumors that Samsung plans to bid farewell to many of its long-standing labels in favor of more engaging names. Some reports say that the actual name of the S10 could be “Galaxy X.” However, with the release of Apple’s iPhone X late last year, the name is an unlikely choice. As mentioned above, the highly-anticipated in-screen fingerprint scanning feature will make its Samsung debut via the Galaxy S10, according to numerous reports. ChosunBiz recently claimed that Samsung has already informed their suppliers that the fingerprint scanning feature won’t be available on the Galaxy Note 9. The company was ostensibly unsure of whether or not they’ll launch the feature on their next phablet that will be released this fall. In April, The Bell reported that Samsung had already completed the design of the S10 and that it has an inlaid fingerprint sensor. According to the story, Samsung has collaborated with Synaptics, Qualcomm, and Aegis Tech to perfect this feature. Last February, Samsung made a $5.6 billion investment in a new factory whose main responsibility is to create 7-nanometer chipsets. 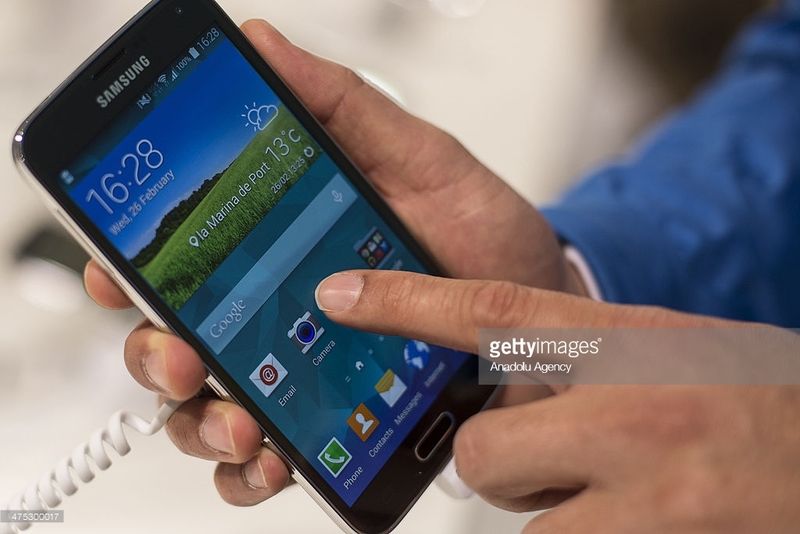 The investment makes it possible for Samsung devices to use smaller chips. This would pave the way for Samsung to make various design improvements, thanks to the extra space it will have within the handset. According to Phone Arena, the company will start beta-testing the chip later this year so that it will be ready for mass production in 2019. This is also the same period when the Galaxy S10 is expected to be released. With all these rumors, it’s safe to say that Samsung is raising the bar once again with a stunning new smartphone. Tune in for more S10 updates. Ataribox is back with a new name, Atari Video Computer System or the Atari VCS. After a long wait, Atari opened preorders last May 30. The console, whose new name is a wonderful throwback to the original Atari 2600 from the ‘70s, will come with a classic joystick, modern controller, and a modern gamepad. Although expected delivery is not until July 2019, thousands have already put their name down for the Atari VCS. There were unspecified technical issues in the past, but based on the still growing number of preorders made exclusively through Indiegogo, Atari has certainly succeeded in bringing excitement—and nostalgia—to the gaming community with its new video computer system. The gadget is a retro-inspired gaming platform based on PC Technology. Atari presented the latest version of the console at the 2018 Game Developers Conference in San Francisco. They are working hard with game developers and content creators to finalize all details of the Atari VCS’s production, and the company and their trusted partners in the gaming industry remain positive about next year’s release. Atari understands how passionate the gaming community is about the brand, and they know how important it is to get everything completely right. It was quite a setback for them to delay the launching of the new console, originally intended to be released this year, but it was a worthwhile decision, no doubt better than releasing it with a single thing out of alignment. Now that preorders have started, fans certainly seem to have gotten over the delays as they eagerly await finally getting their hands on the nostalgia-inducing new video computer system. 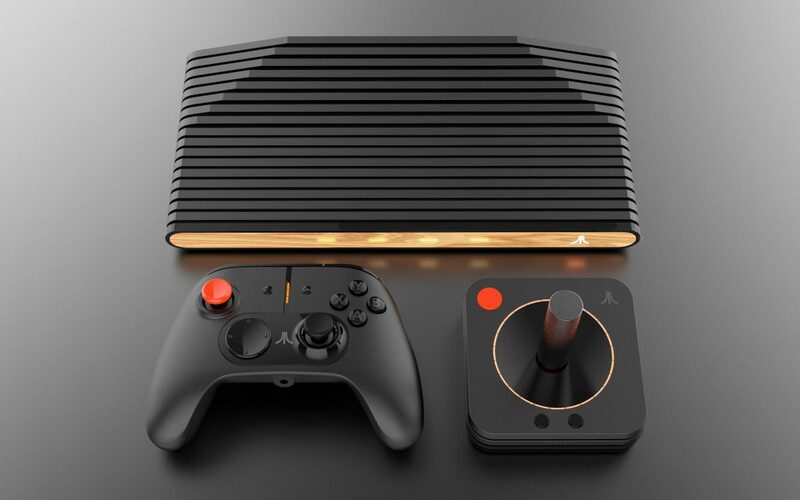 Described on its preorder page as a reimagined classic, Atari VCS will fit right into the modern living room, mixing modern lines and classic content. It’s slimmer compared to other iconic Atari products. Meanwhile, its logo draws inspiration from Atari’s rich history of graphic design from the 1970s and 1980s. Atari execs promise that gamers will be able to play both classic Atari games and modern PC games on the new Atari VCS. Although the new console won’t be able to handle the most graphically intense PC titles, this could still exponentially increase the number of games available for the system. Atari VCS is similar to Nintendo’s NES Classic and SNES Classic consoles. The interesting twist is its capability to play classic and modern games all in one gaming system. Plus, the console will bring a full PC gaming experience to your TV. Atari VCS offers access to web browsing and streaming services such as Netflix and Spotify. Moreover, the VCS supports 4K resolution, offers internal and external storage, and features Wi-Fi, USB, and Bluetooth connectivity. The company is indeed committed to perfection, as seen from the console’s design and its many exciting features, every detail a testament to the heritage of the Atari Brand. The Atari VCS is available to preorder until June 11 at 12 p.m. ET. Its price starts at $199. With so many competitors in the market, OnePlus has done an admirable effort in keeping up with new technology and design innovation. With its usual quick updates every six months, there’s a new member of the OnePlus smartphone products. Its latest flagship product, the OnePlus 6, will feature an all-glass design and a glass back, much like the sleek designs that we see from the big brands. OnePlus has recently confirmed this news coming directly from their founder and CEO, Pete Lau, who made the announcement on the OnePlus forum. This overhaul comes second to the OnePlus 3 and OnePlus 5 series, which were both metal-clad. The OnePlus 6 is adapting the design of the iPhone X’s display featuring a notch. With its reputation for prioritizing function over form, this is a big move on the part of OnePlus. It uses Gorilla Glass 5 in its all-glass design, giving it a striking look and feel. The OnePlus 6 is available in silk white, midnight black, and mirror black. Similar to the Samsung Galaxy S9 and ASUS ZenFone 5Z, the OnePlus 6 runs on Snapdragon 845 processor. It also boasts a considerable memory capacity, with 8 GB of RAM and three options for internal storage: 64 GB, 128 GB, or 256 GB. A 3.5mm headphone jack remains, similar to its predecessors. For the selfie-conscious crowd, the OnePlus 6’s front camera is a good 16MP, perfect for crisp photos. The main camera, meanwhile, is equipped with optical image stabilization and has a variety of features. Users can experiment with the slow-motion video mode as well as the built-in video editor. The fingerprint reader at the back of the unit is also the fastest available in the market today, unlocking the device in under 0.2 seconds. 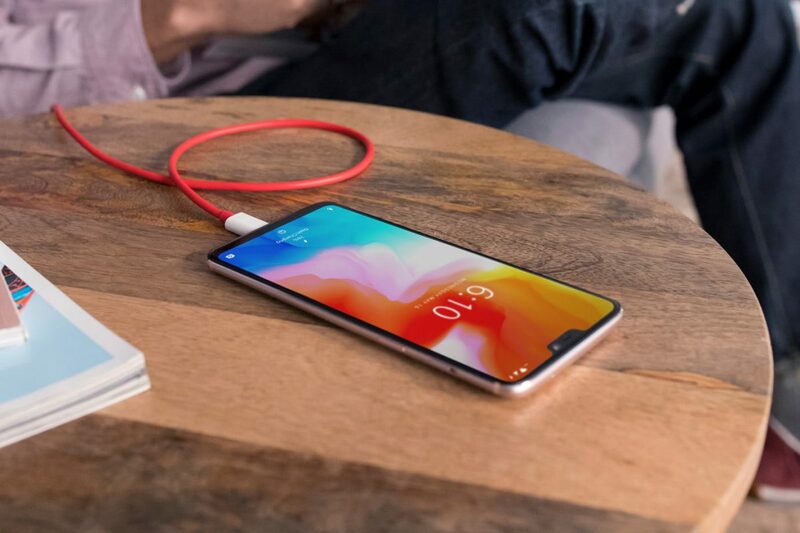 A notable feature that has been left out is wireless charging, but it isn’t that much of a deal-breaker considering the rest. There are a few cool features that are built into the OnePlus 6, including Face Unlock capability. It also supports 4k video up to approximately 60 fps. If you opt for the 256 GB variant of the OnePlus 6, it will run on OxygenOS, which is based on Android Oreo. The OnePlus 6 is the first Gigabit LTE device from OnePlus, and it also includes a gaming mode that will ensure a stable connection with the least interruption while gaming. Lastly, OnePlus assures users that the OnePlus 6 can survive a rainy day or a clumsy drop into a puddle, even though it is not certified as a water-resistant device. Pricier than the OnePlus 5T, the OnePlus 6 retails at $529 for the 64 GB unit, $579 for the 128 GB unit, and $629 for the 256 GB unit. It’s a solid $30 more than what the OnePlus 5T costs, but the brand has made sure it is packed with value, so we are definitely not complaining. 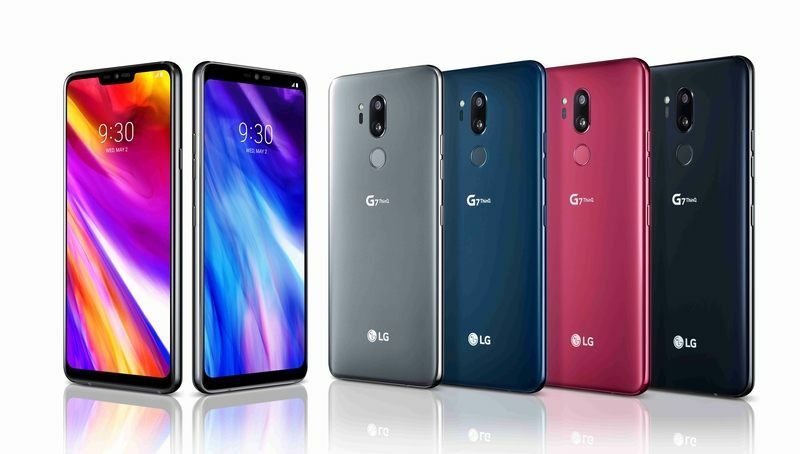 LG G7 ThinQ, the company’s newest smartphone, is a few features away from being a high-quality phone. It has premium specs, a sophisticated design, and a good battery life. But the thing is, the G7 ThinQ is also a lackluster device. The phone falls short of a solid visual identity. If the design of the device is your priority, the G7 may not be to your liking. That said, given that LG’s flagship phone is likely less expensive than the competition, the G7 will delight many potential buyers. It won’t be as interesting as the iPhone X nor as advanced as the triple-camera Huawei P20 Pro, but it can satisfy many with its budget-friendly price tag. The G7 ThinQ may not be as visually appealing as other smartphones, but it comes in more exciting colors than the standard black or gray. In particular, the Raspberry Red is a crowd favorite. The sides and the back of the smartphone are slightly rounded on the edges. The display subtly curves into the metal frame, which gives the device a softer look and feel. While the many variants of the Samsung Galaxy feature an OLED screen, the G7 ThinQ display is LCD. Thanks to its stunning QHD+ display, the screen is vibrant, clean, and crisp. It makes the colors on photos and videos truly pop out. A prominent hardware feature of LG’s flagship phone is the Super Bright Display. As the name implies, this mode can boost the phone’s brightness up to 1000 nits, which is said to be the highest on a smartphone. The Super Bright Display is best used when looking at the screen under bright light. To activate this special feature, look for the “Boost” button next to the brightness slider. Tap the button and crank up the brightness as much as you need. Like the iPhone X and other high-end flagship phones, the G7 ThinQ has a notch. LG added a black notch that houses the phone’s camera and speaker. The notch, especially if you’re not a fan of it, can be annoying because it sullies the beauty of the display. The good news is that LG has provided an alternative to the notch, the New Second Screen. It’s a small slice of display on the sides of the notch, containing the phone’s notification icons and other indicators. The New Second Screen is a workaround to hide the notch since enabling it fills the area with a black bar or a gradient. The G7 ThinQ offers a dual 16-megapixel camera on the back and an 8-megapixel camera on the front. One of the back cameras is wide-angle, while the other is telephoto. Perhaps the most notable camera feature of the G7 is its AI mode. LG’s AI Cam tries to smartly identify the objects in a scene so that it can adjust the settings for the best possible shot. The AI mode offers a variety of filters. If needed, you can also make manual adjustments. The LG G7 ThinQ has a lot going for it. It also has a few weaknesses and flaws. If you can overlook its flaws, you have the option of a quality smartphone with a more budget-friendly price tag. HMD Global, the manufacturer of Nokia smartphones, has launched an upgraded version of the Nokia 6 during the Mobile World Congress. The upgrades include improvements in specifications and slight tweaks in the design. HMD has also introduced the unit as a new member of Google’s Android One program. The Finnish smartphone maker began its production of Nokia-branded phones in 2017. Among the first models that made it to the United States was the Nokia 6. 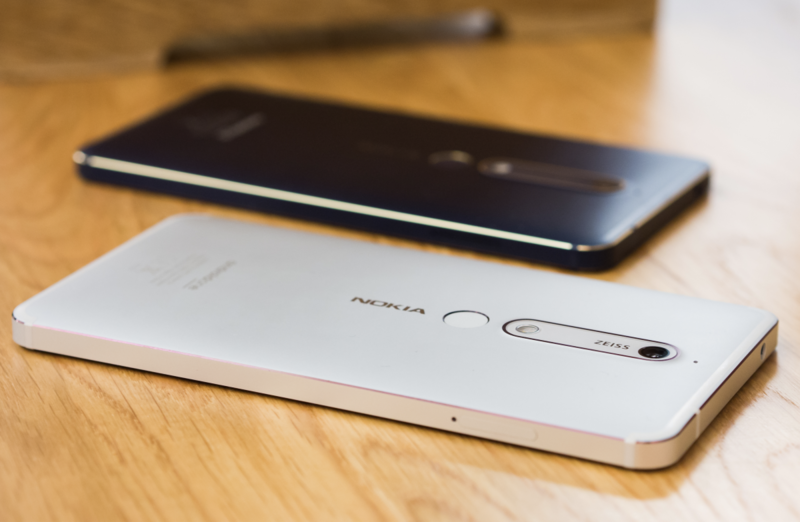 In the mid-range smartphone arena, the Nokia 6 proves to be acceptable, though not really remarkable. Admittedly, there wasn’t much to get excited about with the announcement of their updates on the 2017 Nokia 6. But the upgraded version, the new Nokia 6.1, is a different story. New and old Nokia users will enjoy this model. And though the upgrades look quite modest, HMD has surely upped their game in the phone’s user experience aspect. One quick glance at the Nokia 6.1 and you will wonder if there is anything new about the phone. Yes, it looks a lot like its older self, but look closer and you’ll see the slight, but significant—and almost awesome—changes. The bezels are smaller on the 5.5-inch display, which makes for its smaller form factor. But HMD has retained the aspect ratio at 16:9 so that slightly disappoints. The new Nokia 6 still comes with the same aluminum casing, but the camera accent lines and the power and volume buttons have been changed to copper. The same copper accents are evident around the fingerprint sensor. The copper accents make the Nokia 6.1 look sleeker and more compact. The updated Nokia 6 uses Snapdragon 630 now from the Snapdragon 430 core of last year. This would boost its overall performance by up to 60 percent. The latest version comes in two configurations: one has 3GB RAM and 32GB storage; another has 4GB RAM and 64GB storage. There is a microSD slot which allows expansion of up to 128GB storage. The new phone comes with a 3,000 mAH battery. There are no big changes in the camera though. The rear camera has a 16MP lens with Zeiss optic technology. The front camera is 8MP with the option to take wide-angle photos (up to 84 degrees). It features Dual-sight technology, which allows the user to take “bothies”—photos taken simultaneously from the front and rear cameras. HMD has also stamped its mark by getting on board the Android One program. This allows Nokia users to enjoy near-stock Android features. The program also gives additional benefits like regular security updates and fast OS updates. Last April, the updated Nokia 6 was launched overseas. The 3GB/32GB phone sells for $356. There are no announcements yet regarding the price of the 4GB/64GB model. There are also no confirmations yet on the schedule for the US launch, but these announcements will likely come soon. Last year, Google updated Android Wear 2.0 with an AI assistant. Since then, the tech giant has introduced increasingly more features to make the smartwatch more relevant. This year, the company is set to deliver a few new features to AI Assistant for Wear OS, which is the rebranded name of Android Wear. Actions on Google for linked devices. Over the past few days, Google has been steadily giving out information about Wear OS’s updates. It’s difficult to say just how much energy the company has put into Wear OS for their upcoming keynote conference. But for the time being, all pieces of information are focused on solid Assistant changes. The AI updates on Android smartwatches don’t come as a surprise, especially if the market notes how important Siri is for Apple Watch. Google’s Assistant-centric updates for Wear OS bring about cool features like smart suggestions. The Google Assistant gets wittier and smarter with this new feature. It provides follow up research based on your previous searches. For instance, when you ask about a concert scheduled on a specific weekend, the AI Assistant will provide all the necessary details you requested. In addition, you’ll receive other concert schedules happening on the same weekend or other planned events for the coming weeks. Another amazing new addition is the ability to hear auditory answers rather than just reading them from the wearable’s small screen. This is a helpful feature, especially if you’re in a rush and can’t be bothered to get your reading glasses out to read the answer to your query. Google is also introducing Actions on Google on their smartwatches. This means you can give commands to any of your linked smart products via the AI Assistant on your smartwatch. You can give a command for multiple tasks, too. As such, you can give commands to turn on the AC, schedule the garden sprinklers and ask about the weather simultaneously. In the grand scheme of things, these updates are not earth-shattering. But they can be life-altering, especially if you’re always on the go and rely on your smartwatch to help you finish your tasks and errands. It’s also nice to see Google giving importance to Wear OS ahead of I/O. For the past conferences, Google wearables take the back seat in terms of updates and value. In fact, the tech giant has slightly dropped the ball in making much headway for their smartwatches. This is especially true if compared to what Apple has accomplished so far with their wearables. 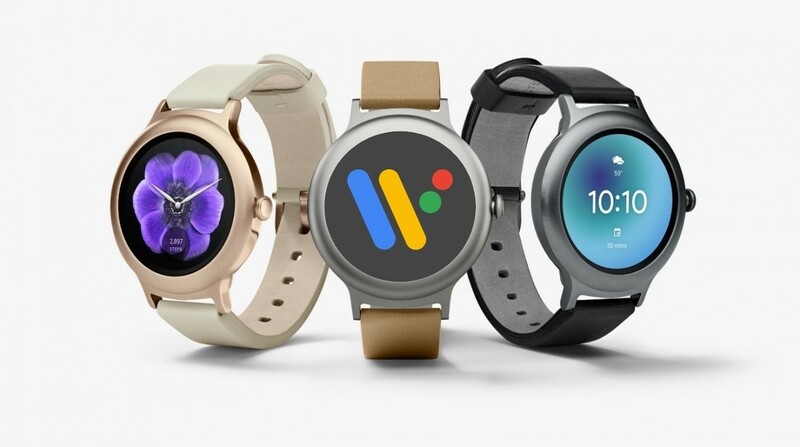 Hopefully, Google will have even more wonderful updates and key information to showcase for Wear OS soon. LG, the South Korean electronics giant, is steadily gaining interest as the company goes public with a few surprises. 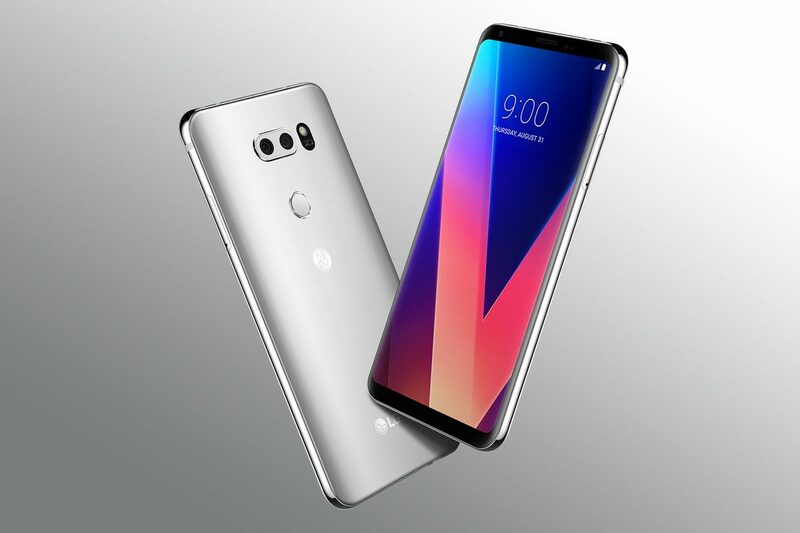 During the recent Mobile World Congress (MWC), LG announced the LG V30S. The smartphone is the updated version of the V30 launched last year under the ThinQ brand. Like the LG ThinQ speaker, which is powered by Google Assistant, LG has put a plus on AI for this updated version. The V30 has an awesome design and a very decent camera. It supports wireless charging, retains the headphone jack, and has a microSD slot. The downside is its OLED screen that doesn’t quite satisfy, what with the $830 price tag. That’s a big issue that could drive away many buyers. To counter this disadvantage, LG is reportedly making various updates on the V30S. The most notable ones are the storage and memory upgrades. The updated version V30S uses the exact design as the V30 and runs on Android Oreo. It has a dual camera, a screen with 18:9 display, a battery capacity of 3,300mAH, and the Snapdragon 835 CPU. The main update is on the memory: from 4 GB to 6 GB and from 64 GB or 128 GB to 128 GB or 256 GB. It’s also reported that the new phones will feature the LG Lens, which are akin to Google Lens used exclusively on the current Pixel phones. What the LG Lens does is it identifies and recognizes objects in the photo you are taking, using the angle and your current location. The tool will provide relevant results based on what the object or scene onscreen is. There are new colors too, Platinum Grey and Moroccan Blue. There are also rumors about featuring a translation option like the Google Translate photo mode. For AI Cam, LG licensed the EyeEm Vision, which is trained to detect and machine-learn up to 100 million images. The tool pulls related keywords prompted by the image that it recognizes on your screen, whether it’s an object or scenery. LG also tweaked the V30 camera to its V30S version with Bright Mode, which combines four pixels into one to take better pictures in extremely low-light settings. LG added the QLens image detection tool, which works with Amazon, so you could shop with ease by taking a photo of a product you want to purchase. The tool could use some improvement, though, because of its disappointing inaccuracy. With continuous updates on its lineup of tech products, LG could really use more efficient and accurate tools on its smartphones. The current lineup of smartphones that feature Google tools makes for the kind of camera technology that consumers are looking for these days. Point-shoot-post has become the trend because of popular social photo apps like Instagram and Facebook. The V30S updates can encourage Android users to try this new LG device rather than the competition. With LG working closely with its partners, competitors are definitely in for a good fight. Almost a year following its original announcement, and a few months later than initially planned, iTunes is finally on the Windows Store. This means Windows 10 S users can now enjoy Apple’s most popular app. During a 2017 developer’s conference, Microsoft announced that an iTunes app would soon be available in the Windows Store. The original release date was at the end of that year. Microsoft revealed that a team had been working closely with Apple to make this happen. iTunes is one of the top searched apps, and its absence in the Windows Store hurt both companies. The original plan to release the app in the latter part of 2017 didn’t transpire. But after several months of delay, both Apple and Microsoft have finally made good on that promise. 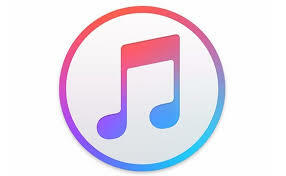 The iTunes app is now available for download in the Windows Store. This easy access provides users the opportunity to purchase music, movies, and TV shows without hassle. It also provides them access to the Apple Music streaming service. The new iTunes app that rolled out in the Windows Store last April is similar to what has long been accessible to most Mac and PC users. Since iTunes is an Apple product, it’s readily available on Mac. On the other hand, Windows users must first go to Apple’s website to download the app. The iTunes app available in the Windows Store is most relevant for users of Windows 10 S, which is a more structured edition of Windows 10. This move is especially important because Windows 10 S is designed for economical computers and laptops used in classrooms. Most of these low-cost machines couldn’t run iTunes because their OS only allowed them to download apps found in the Windows Store. Windows 10 S was launched around the same time that the plans for iTunes to be made available in the Windows Store was first revealed to the public. Now Windows 10 S users can easily access Apple’s digital media app on their computer. They can also listen to Beats 1 radio. By installing iTunes, they can also have their own Apple Music subscription. The iTunes app installer is around 478 megabytes. It is a 64-bit app that supports both x64 and x86 systems. To successfully download the app, the Windows 10 version must at least be 16299.0. The app also needs to be installed on the computer’s internal hard drive. Like in the past, those who don’t use Windows 10 S can freely use the standalone iTunes installer direct from Apple’s site. They can also download iTunes via the Windows Store if they want to receive updates. There are rumors that Microsoft is finding ways to bring apps like the Chrome browser to the Windows Store. But there are also indicators that Google Chrome may never show up on Microsoft’s digital shop, since Google would need to remodel its browser to conform to Microsoft’s rigid app specifications. For the time being, the only hope for this to happen is if Google decides to develop a new version of Chrome that is tailored for the Windows Store, as they have done for iOS. However, this is less likely to happen. Samsung is an electronics and technology products giant known not only for its lineup of smartphones but its imaging solutions as well. Aside from producing some of the best smartphones available today, Samsung also leads in semiconductor technology. A concrete proof of this is its announcement of the new 16MP ISOCELL Slim 3P9 image sensor with Plug and Play solution. The product is a camera module that has been pre-optimized and is OEM ready. The ISOCELL Slim 3P9 has 1.0µm pixel size. It uses Tetra Cell technology, which allows slim smartphones to capture vivid and bright photos. Tetra Cell combines four pixels to allow the 3P9 to become a 2.0µm image sensor. This is used in front-facing smartphone cameras. Tetra Cell also uses the Phase Detection Auto Focus or PDAF for faster and more efficient focusing. The 16MP ISOCELL 3P9 camera allows mid-range phones to take better photos using their front cameras even under low-light settings. Images will appear clearer with the optimized 2.0µm pixel size. What’s more is that Samsung has also come up with a complete solution for the back-camera module that includes actuators and lenses. 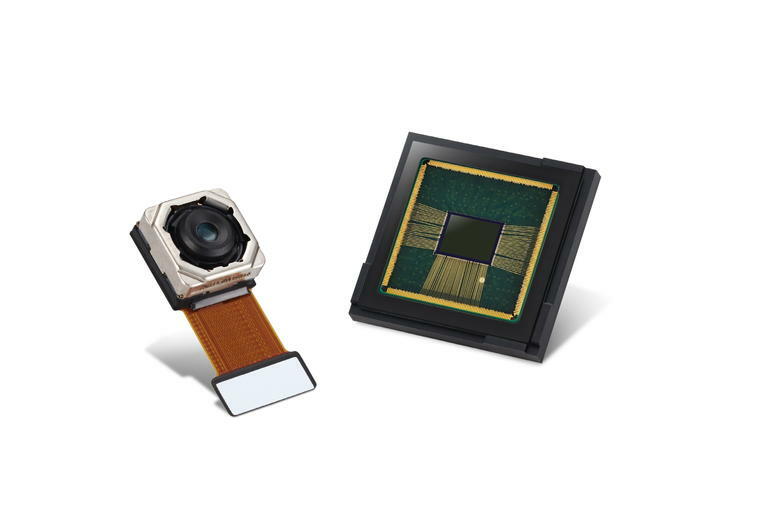 Samsung has optimized and tested its imaging solutions at the module level instead of just on the sensor alone. This allows manufacturers to just plug the Samsung camera into their phones and save ample time—up to four months—on development. As for image stabilization, Samsung uses movement data generated by the gyroscope in the device for adjusting photos and videos. Traditional electronic stabilization technology only analyzes every frame in order to detect and then adjust for any movement. The ISOCELL Slim 3P9 is available for OEM. Samsung’s tech partners now have access to the ISOCELL Slim 3P9 and the Plug and Play system. However, there are no sample photos yet. The first smartphones to use this new product from Samsung will most likely come out this summer. Until then, we can only imagine how photos will look when taken with this hardware component. Samsung has bagged the Top Chipmaker recognition based on revenue and by selling more smartphone units than any other manufacturer last 2017. That doesn’t stop the company from its attempt to advance and take Sony’s spot as the top producer of image sensors. According to several reports, Samsung aims to double the production of its sensors before 2018 ends. The move to increase production of its camera sensors is a good one for Samsung. This will cushion the effects as China continues to mass produce in the coming years. NAND and DRAM prices are expected to drop in the process. Getting a very good share of the market for image sensors would give Samsung an advantage and a leeway for potential future losses.